ANKARA, Turkey (AP) — Turkey's parliament has approved holding the country's presidential and parliamentary elections a year-and-half early, a change President Recep Tayyip Erdogan said is needed because of uncertainties over Syria. Legislators voted overwhelmingly in favor of holding the elections on June 24. They previously were scheduled for November 2019. Erdogan called for the snap elections, citing neighboring Syria among his reasons. The sooner date hastens Turkey's switch to an executive presidential system that will abolish the office of the prime minister and give the president more powers. The change was narrowly approved in a 2017 referendum and takes effect after the next election. Erdogan argues the new system will make Turkey stronger. Critics fear it will lead to one-man rule. 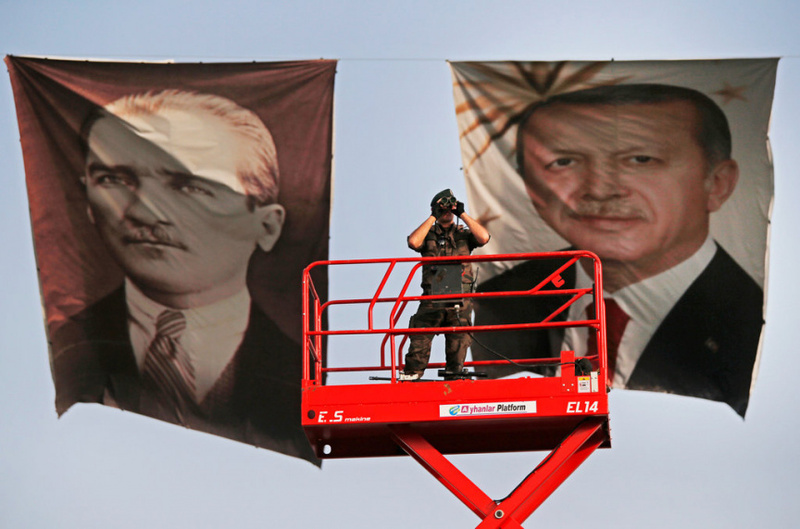 The snap polls give the opposition little time to mount a weighty campaign against Erdogan.